Now out: Love without Wings (SpecT 36), a haunting collaboration containing two extended ambient/noise/improvisation pieces from Paulo Chagas (Portugal), George Christian (Brazil) and Mehata Hiroshi (Japan). Free streaming and $5 download. Also out today: the newly revised, remixed and mastered version of Christian + Mehata’s La Géographie sans Regret (SpecT 15; orig. 2012). More bass, more sonic expansion, and ultimately a better sounding version of a blistering experimental album that had already earned high praise from critics, including The Sound Projector. Free streaming, name-your-price download and $12 CDR. Just Outside has some very nice reviews of Respect and Musica per Nastro here. 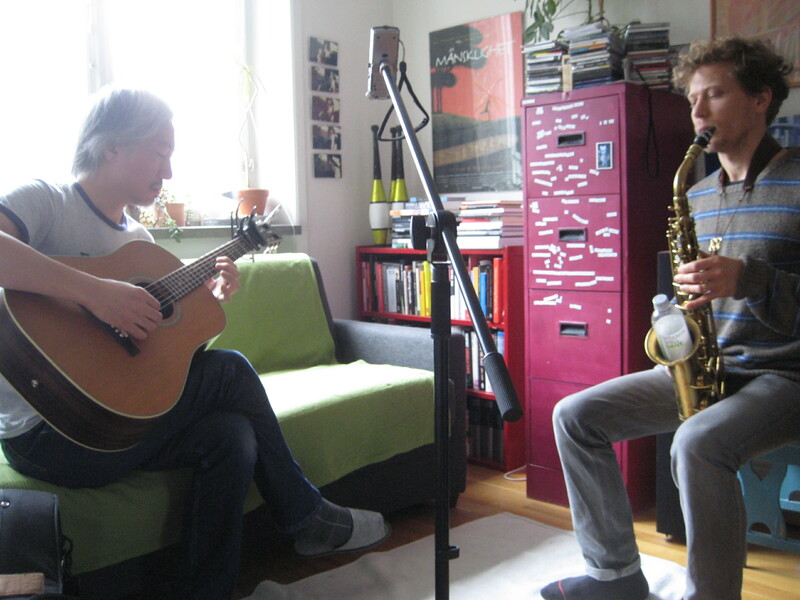 Tetuzi Akiyama & Jeff Gburek’s new album of engrossing improvisations is available for streaming and purchase in download and limited edition CDR formats. Check it out below and see the bandcamp page for more details. The physical version of George Christian + Mehata Sentimental Legend’s scorching new album is out! The haunting new collaboration from two emerging artists from Brazil and Japan. Sheets of noisy harmony, shimmering textures, microtonal explorations, and voice drenched in reverb seep in and out of existence. Somewhere between avant/noise rock and experimental electronic, this recording is a strange trip that gets better with each hearing. 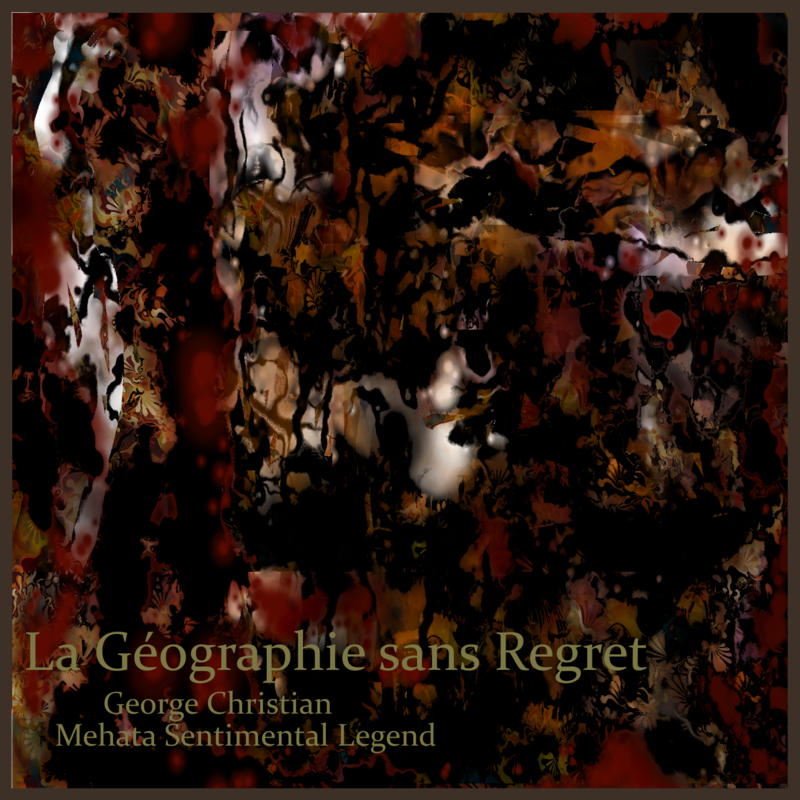 La Géographie sans Regret (George Christian & Mehata Sentimental Legend) is about exploring emotional grounds, exhilarating here, melancholy there, dark and tortured there, but without regret. Each musical piece seems to have originated from an emotional reality which is expressed in written words and transformed with the same intensity and emotional and moral ambiguity into musical language. As a collaboration, George Christian was able to go beyond language barriers which could trap him into such territories, and was able to communicate it to Mehata Hiroshi. Mehata Hiroshi was able to match it both musically and with his visual artwork. His visual artworks, likewise, have the depth, sparkle, horror, and exhilaration expressed in the music they made. Two young artists show us what it is like to be young, risk taking, treading on water, mud, solid ground sometimes, but throughout it all, without regret.